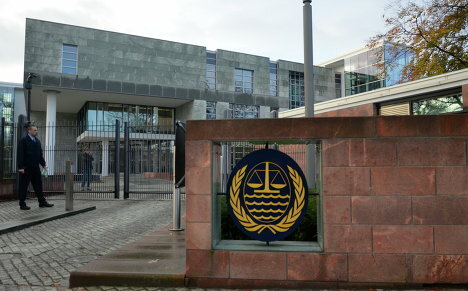 The Arctic Sunrise hearing at the International Tribunal for the Law of the Sea | Russian Legal Information Agency (RAPSI). 18:11 07/11/2013 On October 21, 2013, the Netherlands filed a request with the Hamburg-based International Tribunal for the Law of the Sea to inflict provisional measures in the dispute over Dutch-flagged Greenpeace vessel Arctic Sunrise. The vessel was seized by Russian border guards on September 19 within Russia's exclusive economic zone, a day after two Greenpeace activists scaled a drilling rig in the Pechora Sea, the southeastern part of the Barents Sea. The Netherlands is demanding the release of the ship and its crew and the withdrawal of hooliganism charges against the 30 crew members.